A wet cough is a sign of a viral or bacterial infection. The body will create excess mucous to remove the bacteria or virus, resulting in a productive cough. This cough sounds ‘wet’ because the body is trying to expel the mucous. An important thing to remember about toddlers and coughs is that you should always consult your pediatrician, especially if your child’s fever gets high or it’s been more than a few days of coughing. If your child has trouble breathing always take them in. Often a wet cough has to run it’s course, this can take many days. These remedies can help so long as your child isn’t experiencing more concerning symptoms as previously mentioned. 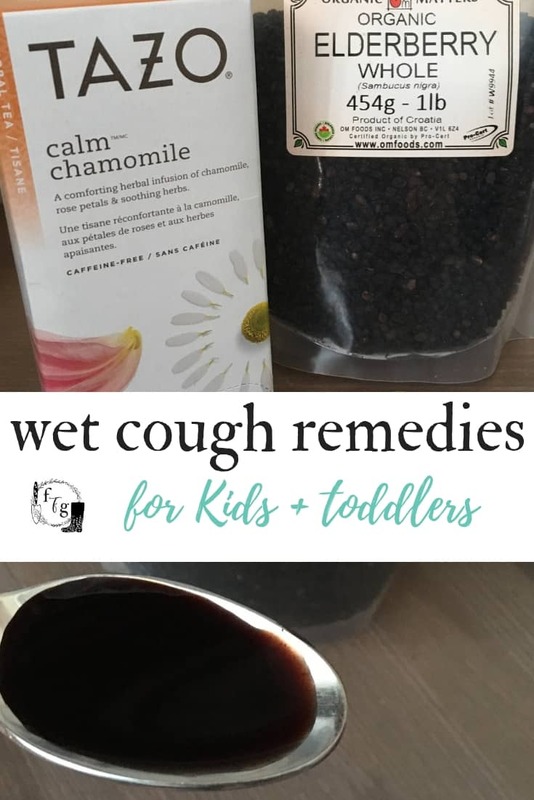 Toddlers can have a hard time expelling the mucous, so wet cough remedies can help. Humidifier offers therapy by adding moisture to the air. Moisture will help an expectorant cough as it helps loosen mucus. Diffuse essential oils. Use cypress essential oil which contains camphene, α-pinene, δ-3-carene which helps to reduce respiratory congestion. Add a few drops to your diffuser. Only have the diffuser on for 15 mins in an open room for air flow with kids. You can diffuse without essential oils too to add moisture into the air. Honey has been a traditional and old fashioned remedy. Honey is high in antioxidants and makes a great cough remedy for children over the age of 1. The National Institute for Health and Care Excellence (NICE) recommends honey as a cough treatment instead of antibiotics. Read more here. Deep Immune Tincture our family uses the St Francis Deep Immune tincture during the winter months whenever we start to get a cough or cold. Rest is super important with any sickness. Toddlers tend to sleep better elevated because they can breathe better. We choose to sleep close to kids with a cough to keep an eye on them, especially as coughs tend to get worse at night. Encourage quiet time and naps as much as possible. Stay home so you don’t spread the sickness too. Have a diffuser on at night without essential oils to add moisture while they sleep. 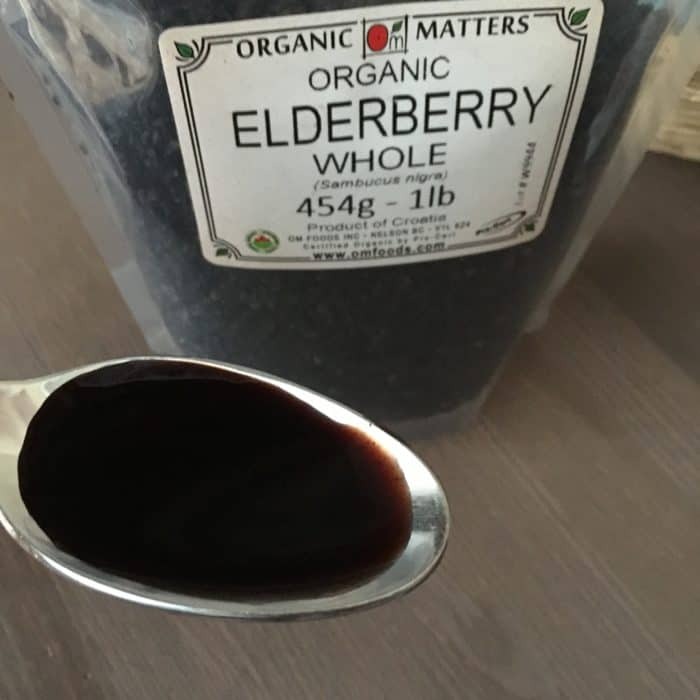 Elderberry Syrup offers the benefits of honey with added Vitamin C and antioxidants. 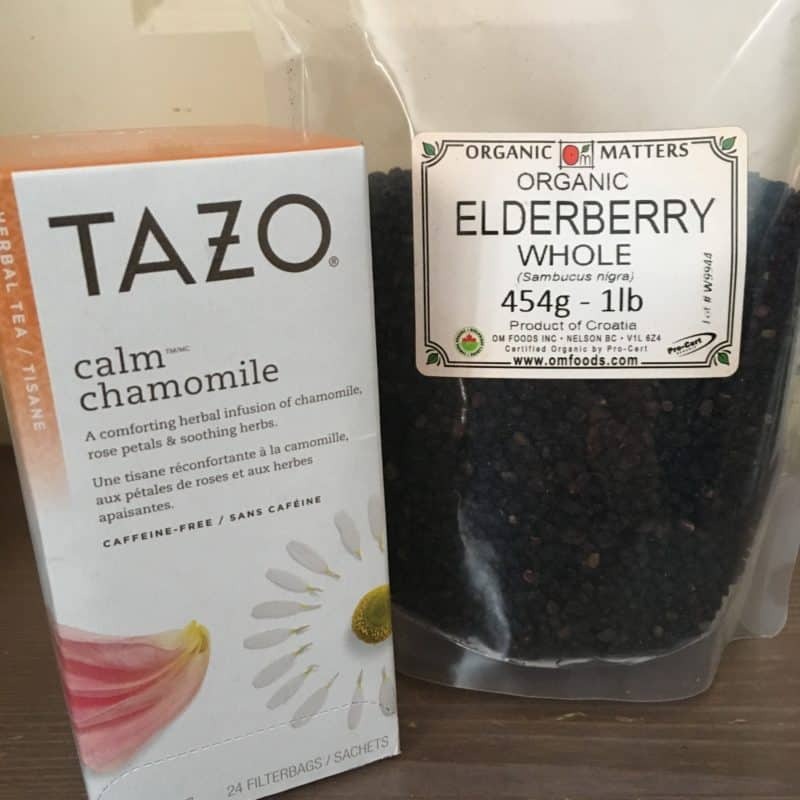 This has been our go to for cold and flu season, we often freeze elderberries to have on hand. You can also buy them dehydrated and make elderberry syrup as you need to. 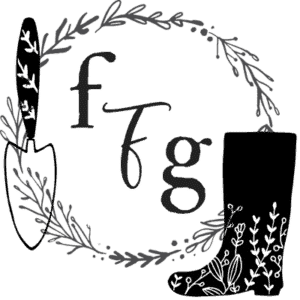 Learn how to make elderberry syrup or you can also make elderberry gummies. Natural Cough Syrup can be found at local natural health food stores. Chamomile Tea and Honey Chamomile is a calming herb is is lovely with some honey. This is a caffeine free tea that’s suitable for babies after 6 months and toddlers. 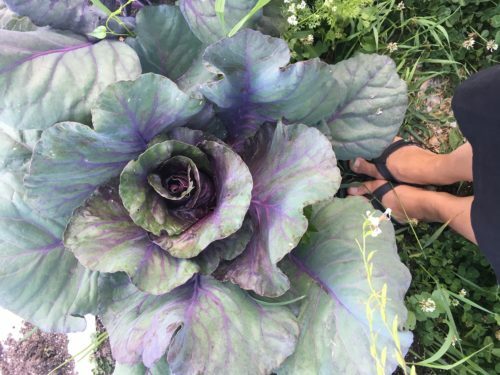 It can help with colic, teething, calming and relaxing a cough. Kids don’t need to drink much tea, just a small half cup or even a few tbsp will do. Steamy Shower can help to break up mucous in the chest and moisten the airways. Turn on the shower and let it steam up the bathroom. Bring in your toddler for 10-15 mins then leave the room. Essential oil roll ons. I love this line of kids essential oils. 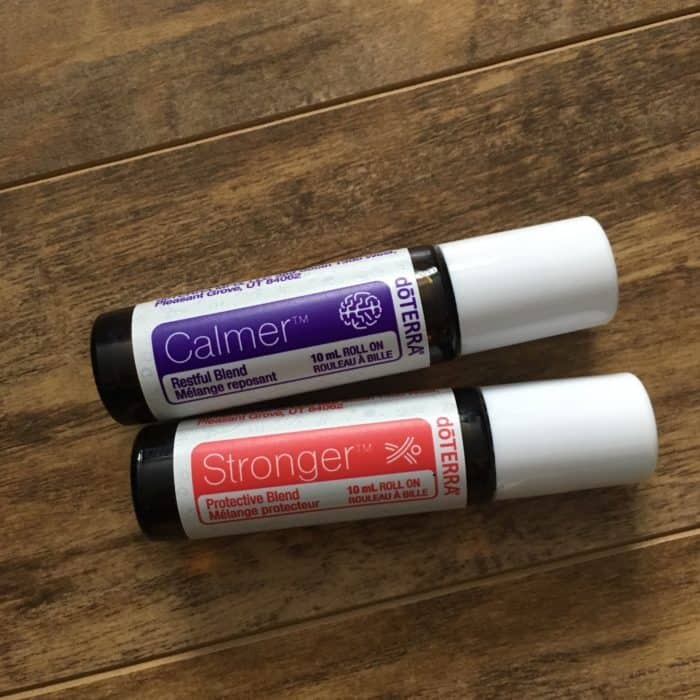 Stronger and calmer have been my go for the winter season. You can buy these oils individually or buy the whole kids essential oil kit from me here. Lavender essential oil can help calm kids that feel stressed from being sick. 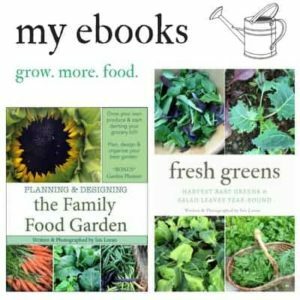 If you love herbs and want to learn more you can take an online herbal course. 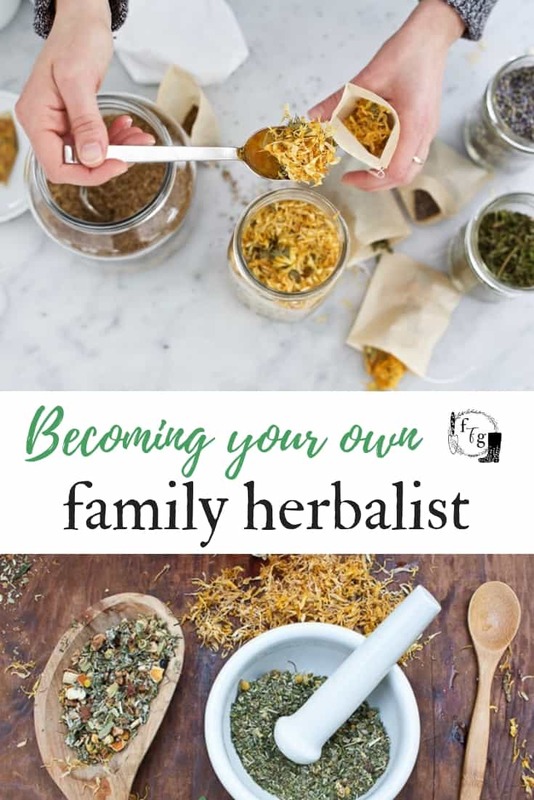 I love the Family Herbalist Path Package, which offers families both the Introductory and Intermediate courses.